Digital radiography is a vital part of preventive and diagnostic dental care, as well as planning for cosmetic and restorative treatment plans. Like traditional radiography, digital X-rays produce clear images of the teeth, roots, and jawbone structure that make up your smile. 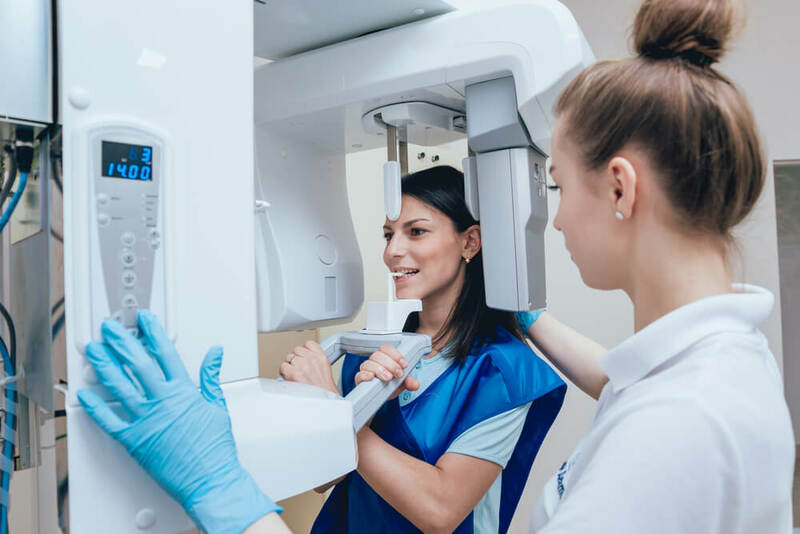 However, unlike conventional X-rays, digital radiography is significantly safer for patients of all ages, is faster to develop than photography-based X-rays, and can save you time during your next dental visit. Safety – Compared to traditional X-ray technology, digital radiography produces up to 90% less radiation, making the procedure safe for a wider range of patients. 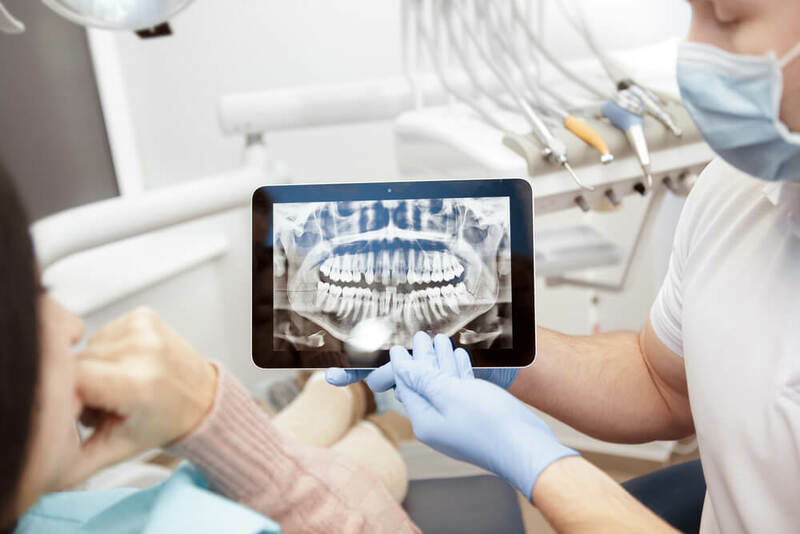 Speed – Digital X-rays are captured using digital technology, and the images are immediately projected onto a chairside monitor, where you can view them alongside your dentist. You don’t have to wait for digital X-rays to be processed, as you do with photography-based X-rays. Accuracy – Like most digital pictures, digital X-rays are noticeably more precise and accurate than traditional photos. Digital images produce unmatched clarity, and your X-rays can be enhanced to focus on a specific area of your mouth without losing any of the image’s resolution. Better dental treatment – With quicker, safer, and more precise diagnostic imaging, your dentist can more accurately design a treatment plan to optimize your smile’s health and appearance. The costs of your Digital X-Rays may be covered by your dental insurance plan or extended dental coverage. If you are looking for more information about a specific service and the costs associated, contact one of our representatives for help. Our treatment coordinators can help you come up with an affordable way for you to pay for the oral health services you need. For more savings visit our specials page, sign up for our informational newsletter below, and like our Facebook page.